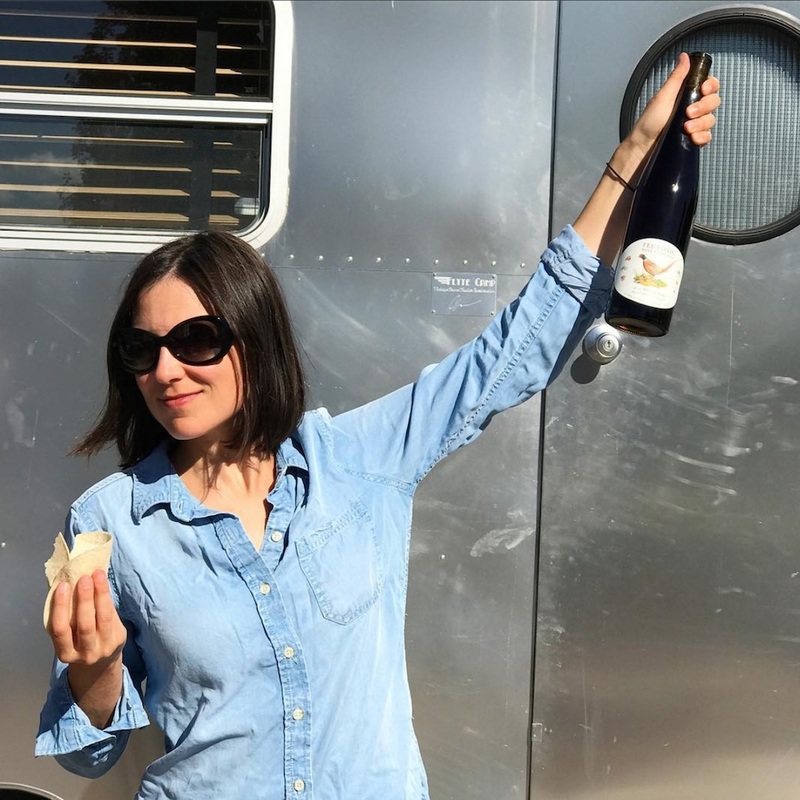 Bianca Bosker and the Cork Dork Book - Good Food RevolutionGood Food Revolution | Wine is food. Malcolm Jolley talks to Bianca Bosker about sensible senseful living. Bianca Bosker from a photo respectfully stolen from her Instagram feed @bbosker. 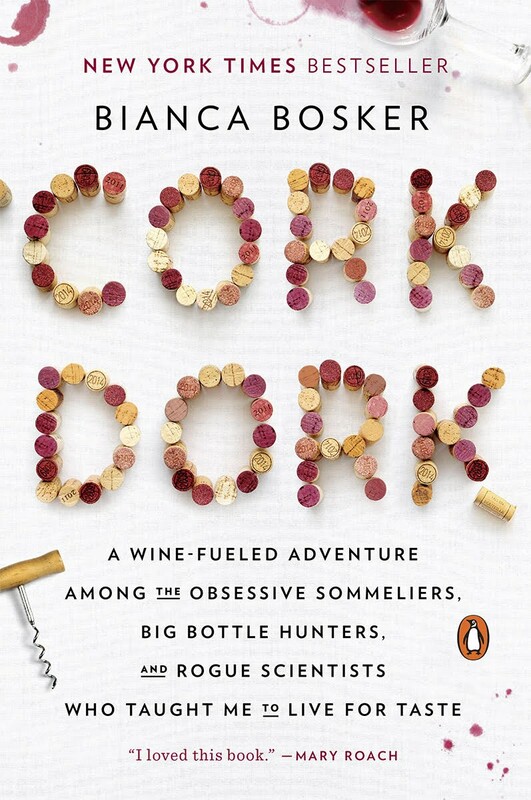 Bianca Bosker’s memoir of immersion into the New York City wine world, Cork Dork, was published and hit the New York Times Bestsellers list earlier this year. It is a must read for anyone in or orbiting around the wine trade. And maybe required reading for anyone considering getting into the wine trade, or just devoting more of their life to wine. The book is a memoir of a year or so of Bosker’s life spent in preperation for the Wines & Spirit Education Trust sommelier service exam. The author recounts her journey from novice to professional and her adventures in the New York City restaurant scene hanging out, and apprenticing for Masters of Wine and Master Sommeliers and figuring out “what’s the big deal with wine”. Bianca Bosker was (and still is) a successful journalist, covering the tech scene, before turning her attention to writing a book about wine and brings an eye for detail and a natural curiosity to stories of her adventures. As the subject of her book, she does not take her self too seriously, and is happy to recount one disaster aft another or make fun of herself. However on her big subject, wine, and the sommeliers who harbour a passion for it she is deadly serious and deeply respectful. I spoke to Bosker about Cork Dork on Skype recently from her home in New York City for the interview below. 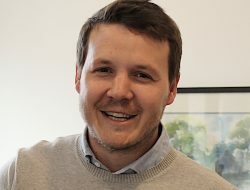 Good Food Revolution: One of the things I really like about you book, is that I think that it ought to appeal to collectors and people in the wine trade, the true ‘cork dorks’, but also to people who are just beginning to be interested in wine. This made me wonder who you meant to write it for? 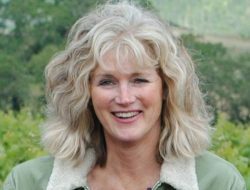 Bianca Bosker: In some ways I was writing the book about wine that I had always wanted to read. As I write about in the book, I used to enjoy wine and I was both skeptical and open minded-ly curious about it. I wanted someone to tell me what things about wine were BS and what weren’t. So, when I sat down to write about my wine journey in book form I wanted it to resonate, both with beginners like I had been, but also the people who already knew everything there is to know about wine. So, early on when I had friends read parts of it, some of them had really believed that when you said a wine tastes like cranberries there were really cranberries in the wine, and some friends who were blind tasting competitors in the industry. One of the most satisfying and thrilling things for me has been talk with readers and seeing that even people who thought they knew everything about wine had found something new in it. And then I was at a reading and met a reader who was a sororiety sister at UT Austin who came up to me and said, ‘Your book made me drink wine for the first time.’ Or, I’ll get an email from a 70 year old long time collector who say they’ve read the book and want me to come over and open a bottle with them. Good Food Revolution: Are you still working the floor for Paul Grieco at Terroir? Bianca Bosker: No, I had to stop working regularly to finish the book! But I did help out at Terroir the other night when Paul threw an amazing Cork Dork event to raise money for the efforts of Chef José Andres in Puerto Rico. So, I was in my Terroir T-shirt pouring wines and greeting guests, making sure everyone had full glasses of water. And in less traditional ways I am still putting all of my sommelier skills to work. Cork Dork is in some ways the extension of the conversation I always wanted to have with guests as a sommelier. You can have a conversation with one or two people briefly on a slow night on the floor, but now though the book I get to have it in much greater depth with, hopefully, hundreds or thousands of people. So, I am using the sommelier skill set, but in an unorthodox form. Good Food Revolution: It’s almost come full circle? You became a sommelier for the sake of the book, and now the book is extending that. Bianca Bosker: I wrote the book because I have always been interested in obsession. I was really interested in the people I met who were wholly obsessed about wine. Through this experience, I have ended up obsessed with all those things they obsess over. Now, you will find me catching myself at a dinner party having spoke for seven minutes about this particular Riesling that we’re drinking. [Laughs.] So, wine is a huge part of what I am doing all day, every day. And there are so many stories I still want to explore and tell about wine. Good Food Revolution: You were talking about knowing everything there is to know about wine, but that’s impossible, right? Good Food Revolution: It’s a life’s work. And it’s a seductive life too, right? It would be hard to leave. Bianca Bosker: Yes, but that’s not to say that it’s easy. I was just having a conversation about this with someone who works in the industry last night, and one of the thing I wanted to illuminate with Cork Dork is that a life in wine is poorly understood by the people that sommeliers call ‘civilians’. It seems like a hedonistic life that’s all about pleasure, but making a living in wine can be painful and require an enormous sacrifice. If you’re working the floor, for example, you’re spending hours on your feet late into the night. You’re working while everyone else you know is playing… But there is this addictive mystery to wine. It’s remarkable. I mean we’ve been making wine for thousands and thousands of years and we still don’t fully understand why it smells the way it does. Good Food Revolution: Or what it smells like. Bianca Bosker: Yeah, right. And because it’s a natural product, every time it’s a little bit different. What I find so inspiring, and intriguing about wine is that within the way we interact with a glass of wine, we can learn so much. A glass of wine can be gateway to the most important truths and questions about the world we live in. For me, learning to blind taste brought me to this gateway of learning how to live with what I call sensefulnes. Not mindfulness, but sensfulness which is idea that by tuning into our senses we learn to make sense of the world. It’s a way of experiencing the world that also extends way beyond a glass of wine. Good Food Revolution: In Cork Dork you chronicle your journey, of learning to taste and passing your WSET service exam, and it’s a physical feat. It’s almost like athletic training. You write about conditioning yourself very purposefully. To extend the metaphor, are you keeping in shape? How are you tasting now? Bianca Bosker: Absolutely! I am still constantly adding new aromas to my sense memory. Just last night I was into a conversation about perfume and someone mentioned orris root, from irises, which is one of the most expensive raw ingredients. I had to know more and to smell it! She happened to have some perfume with her that was made with it, so I spent most of the rest of the night engaging with a small strip of paper with a spritz of the perfume on it. I internalized the smell so I can describe it. And when I’m walking around the city, in New York, I am constantly sticking my nose into things because I am trying to identify whether I’m smelling sweat, or vomit on the subway. I do it because I think that not only does it keep my nose sharp, I think it keeps my mind sharp because this is information about the world I am living in. This is about a way of engaging more deeply with the rhythm of the place I call home. 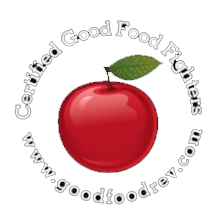 Good Food Revolution: I hate to bring this up, but I have to bring this up. When Cork Dork came out you also published an article in the New York Times. I know that writers don’t write headlines, but it was called ‘Ignore the Snobs, Drink the Cheap, Delicious Wine’. That drove a lot of people like me crazy because it seemed to be saying there was no difference between industrial wines and more expensive craft made ones. I don’t think you actually made that argument in the article, it was more like ‘do what makes you happy’, and in the book you go much more in-depth on how some mass produced wines are made, for instance with additives and things that aren’t mentioned on the label. Did you get some blow back from it? Bianca Bosker: Well, yeah, I guess I didn’t expect the reaction to be as strong as it was. But I was thrilled to see it spark a conversation in the wine world between the people who thought it was about time that an article like it came out and the people who took issue with it. What I will say is that what did concern me is that I think among some camps there was a reaction that harked back to this attitude of telling people what to taste instead of showing them how to taste. I think that developing our own sense of taste is the foundation for a much stronger and healthier relationship with wine, or anything we ingest. 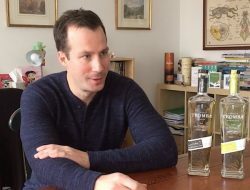 So, I think we should give people the tools to be informed drinkers and have control over their own tastes, because the reality is that we’re all going to like different things. 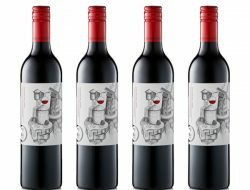 I write about this in Cork Dork: I found at least that by getting in touch with my sense of taste in terms of wine, I felt more confidence in my taste in all things. It’s more significant than figuring out what brand of Sauvignon Blanc you like. What blind tasting, or savouring wine teaches us to do is to stay true to our own felt experience. Good Food Revolution: What are excited about in the world of wine right now? Good Food Revolution: Who, by the way, is well known in his hometown of Toronto! Bianca Bosker: A force of nature! He would make people in his wine class promise that they would never drink the same wine twice. I think there is a certain logic to that. It’s like books: there are more books in the world than you could possibly read in a lifetime, and there are also more wines than you could ever try. Likewise, there are always a few books that we comeback to over our lives, and our reading of them will change with time – same with wine. But why not live dangerously most of the time and try something new? I am always looking for something that I haven’t experienced before. But I will say I have recently found a great deal of pleasure in the wines of Slovenia. There’s a producer Batič that I’ve just found, and if you came to over for dinner this summer we would have been drinking Movia. There is a personal connection because my mother’s family was from there. So there’s an element of, not only are they delicious, but I feel like I am sort of inhaling the smells of this place that has a great a deal of personal significance. That’s one of the things that I love about wine is the way that it can help you travel around the world, or through time without ever leaving the table. I was also recently back home in Portland Oregon where I fell hard for Barnaby Tuttle’s Teutonic Wines. They’re Oregon wines made in a Germanic style. He, himself, is just wild and really interesting and the wines are phenomenal. Bianca Bosker has a website at biancabosker.com.